Thank you for visiting the Harbor Bay Yacht Club website. 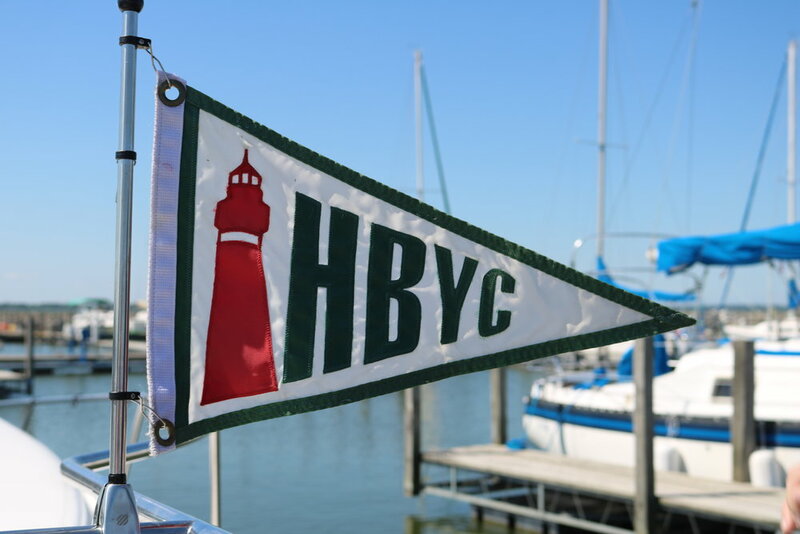 Let HBYC make the difference while docking at the Sandusky Harbor Marina. Click the following text for a membership application. People are the most important part of the HBYC experience. The friendships and impromptu summer gatherings make weekends very special times. HBYC offers frequent social events during the boating season. HBYC sponsors a sail racing from Spring through Fall, with the local races in Sandusky Bay, and "long distance" races to some of our cruising destinations. We also send competitors to the I-LYA Sail Regatta at Put-in-Bay. Our cruising program this year will include at least eight cruises to different destinations along both the US and Canadian shores. Membership has its benefits including use of our air-conditioned clubhouse that features a large open room, full kitchen, gas grills, and TV lounge. Members can access the facility 24-7 with their key code for informal gatherings, to cookout, to watch the game, to watch a DVD movie, check the weather channel, borrow a book, or share a cool drink and conversation. It's also a great place to warm-up during spring launch preparations and fall haul-out. Inter-Lake Yachting Association Membership provides HBYC members with reciprocal docking and club privileges at other I-LYA clubs around the Great Lakes and connects us with the yachting community. I-LYA hosts Bay Week activities for power and sail boats at Put-in Bay each year. Harbor Bay Yacht Club was organized in 1995. The purpose of the club was to encourage boating, sailing, cruising, sociability, and friendship among its members. During the initial year, 175 charter member families joined the club. The first meeting took place June 10, 1995, under the North Pavilion of Sandusky Harbor Marina. On Oct. 18, 1995, Harbor Bay Yacht Club received its charter from the State of Ohio. HBYC also became a member the Inter-Lake Yachting Association. In 1997, the club entered a long-term lease for the clubhouse. By the fall of 1998, most of the renovations had been completed. In 2000, the TV living room lounge and bridge conference room were added. The patio and doors were added in 2005 and the pavilion was completed in 2007. Ask any HBYC member for further information. Look for the HYBC burgee flying from their boats. Pick up a membership application from our website or in our clubhouse located next to the marina office.